In 2015, we were treated to not one, not two, but three fantastic Pixar "Art of" books from Chronicle Publishing (four if you count Funny! Twenty-Five Years of Laughter from the Pixar Story Room)! 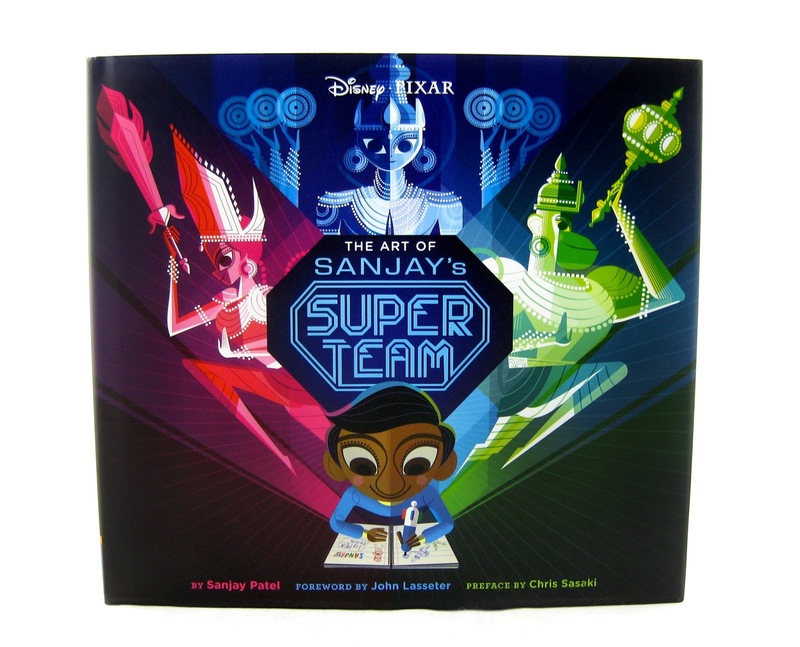 Following The Art Inside Out and The Art of The Good Dinosaur, The Art of Sanjay's Super Team was released on December 1st of this past year. What makes this release stand out is that this is the very first time there has been an entire "Art of" book dedicated entirely to one Pixar short film. How cool is that? I was greatly looking forward to this one. The Art of Sanjay's Super Team is written by Sanjay Patel (writer and director of the film) with a foreword by John Lasseter and a preface by Chris Sasaki (character designer/concept artist). This beautiful hardcover book is about 9.1" x 8.2" in size and is 129 pages in length. 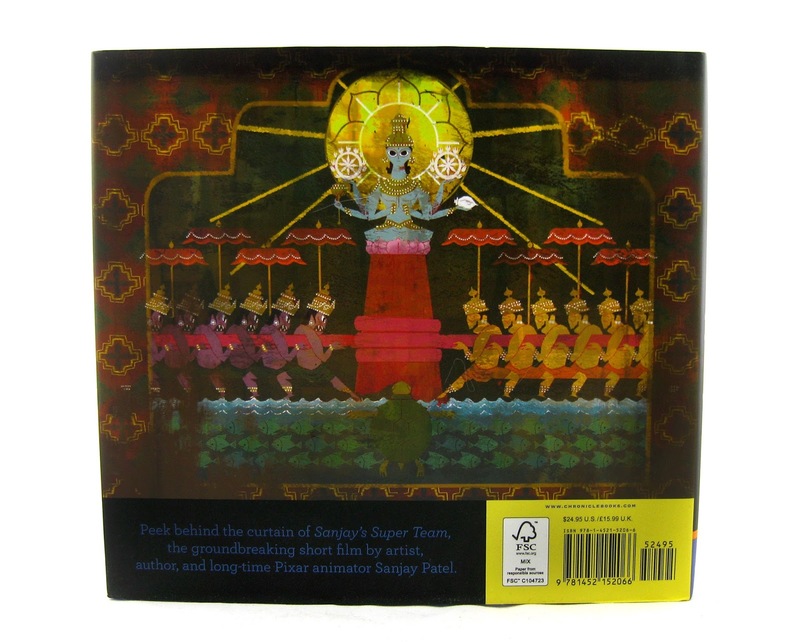 There is a rich history to Sanjay's Super Team. The film is an incredibly personal story, almost biopic in nature, of the director himself Sanjay Patel. The story behind the story is as intriguing as the short itself- and that' what this book dives into. Compared to the other recent "Art of" releases, this book has a ton of text and behind the scenes content. Though we still get the full dose of images (concept art, vibrant digital paintings, pencil sketches, maquettes, color scripts, lighting/character studies, storyboards, photographs, etc. 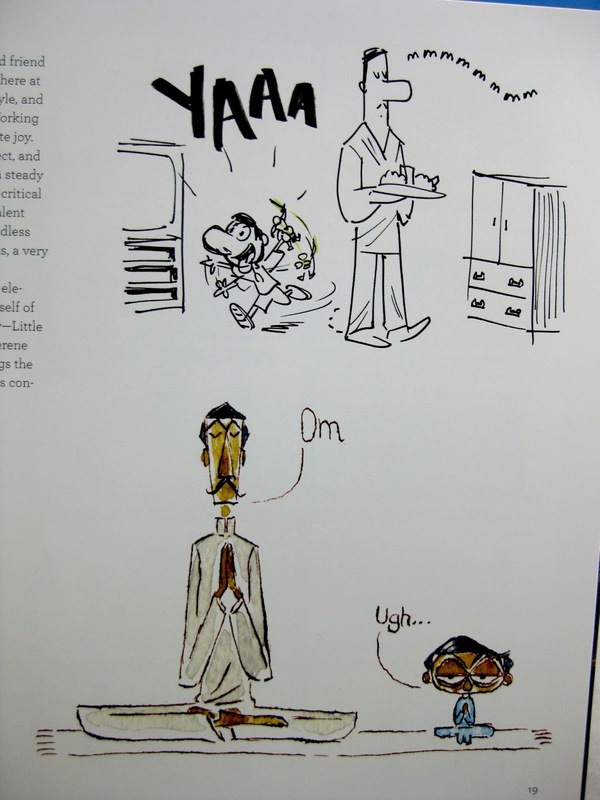 ), I would consider this more of a full "Making of" book. I don't think this release will disappoint anyone! 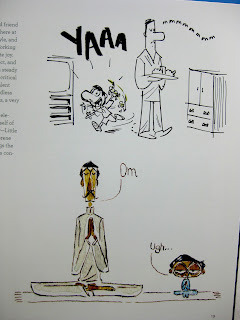 This is truly an inspiring book and a wonderful look into the film's creative process. You can really feel the passion and love for the project from everyone involved. It's an absolute must have for Pixar fans! If you're interested in picking this up for your collection, be sure to visit Amazon using the direct link below.